1. Cut the collard leaves to small pieces roughly.If stem is there cut to very small pieces. 2. Add this to a wok and cook closed with salt and turmeric powder. 3. Meanwhile crush the garlic and mix it along with green chilli to the grated coconut in a plate.Crush all the ingredients together with your hands. 4. Once the greens look cooked and there is no water in it add the coconut mixture and mix well.Cook for a minute mixing well and turn off the heat. wow looks yummy and healthy too!!! Healthy and yummy stir fry. colorful and healthy stir fry. 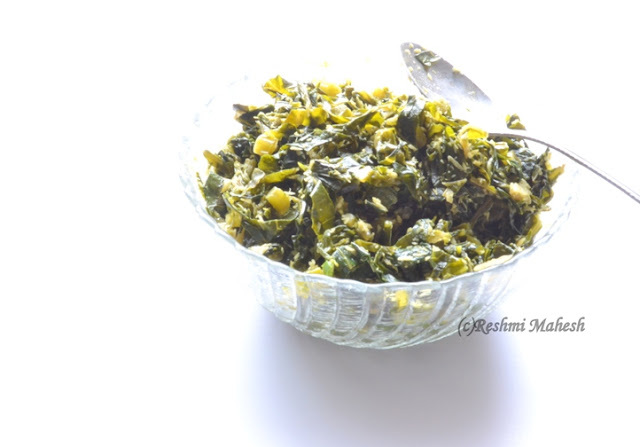 Collard green throan adipoli.I haven't tried anything with collard green. Looks very delicious! nice recipe! I make this all the time....love it! I make stir fries with collard greens too. Healthy and tasty. Quick & delicious stir fry. that definitely is a healthy bowl of yummy greens. healthy, greeny, flavorful side dish. Healthy & yummy..Love the garlic flavor in it!! Absolutely love it. Healthy too. And I find some change in interface and I hope am correct. It looks good. a very healthy and nutritious stir fry..
i was checking your previous posts... bread looks super soft and delicious.. i have some horrible experiencewith bread making.. 4 or 5 times i tried bt it resulted in crusty outer and soggy inner.. any solution for it? 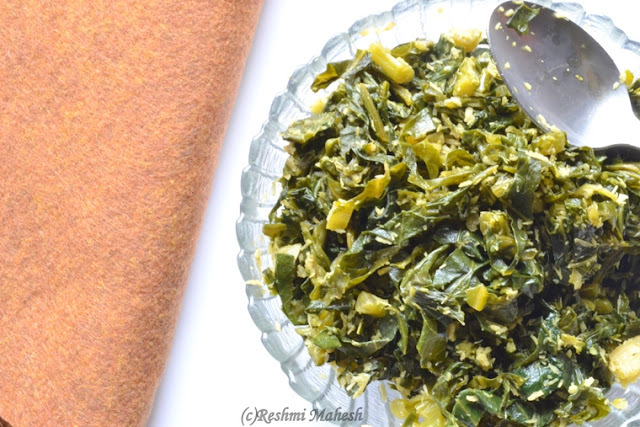 Sounds like a really tasty recipe for collards! Wonderful, yummy and healthy stir fry. Healthy greens..I too make this similarly,this looks tempting..
wow.. this is one healthy recipe :D Looks so yumm..
Easy and healthy stir fry! I always love the greens.Ur clicks makes me ur blog's follower.If time permits visit my blog too. I'm very fond of greens. But, I haven't tasted collard greens yet. Your stir fry looks very delicious. I must search if I could get them here. Delicious stir fry .Do you know of Kerala Kitchen August 11 I am hosting it this month and I would be happy to have an entry from you. Yummy , delicious and super healthy one. Healthy and flavorful stir fry.. Healthy and nutritious stir fry. Never tried them before. 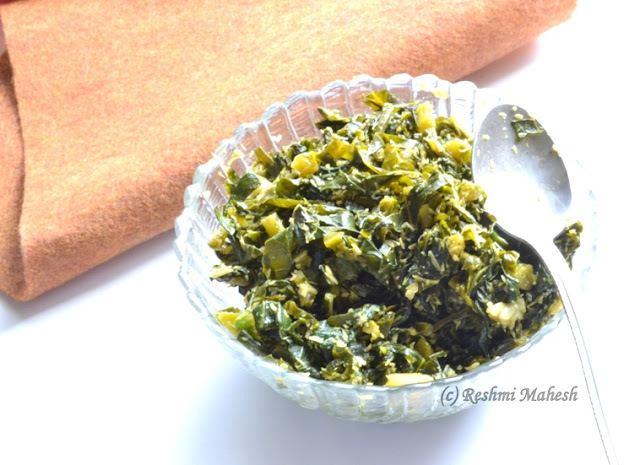 healthy n delicious recipe dear, never tried before..
That's a easy recipe... My mom generally makes leafy's this way.. I love Collard Greens too. It is so easy to cook and taste yummy. I used to live in Grand Rapids. I miss the city so much. Veg Bowls or Cute bowls..